After he preaches his last sermon Sunday, the Rev. Rick Cole of the Capital Christian Center plans to leave his wallet behind, pick up his sleeping bag and ride light rail to downtown Sacramento. The dapper leader of one of the region’s largest congregations said he will live like a homeless person, sleeping on the streets and eating in soup kitchens, for up to two weeks or until he raises $100,000 to fund a program that provides winter shelter for the homeless at houses of worship throughout the area. Cole broke the news to hundreds of worshippers Saturday evening from the megachurch’s broad stage, with its fog machines, colored lights and giant-screen TVs. “I’m really excited and really freaked out,’’ he said, adding that he’d never ridden light rail before and had stopped shaving two days ago to get ready. Cole said he thought his quest might have been divinely inspired. It popped into his head a few weeks ago while he was brainstorming with others about how to fund a program that buses about 100 homeless people on winter nights to area churches and synagogues, where they eat and sleep and get help finding work and more-permanent shelter. The program, called Winter Sanctuary, is led by nonprofit Sacramento Steps Forward, of which Cole is the chairman. “We’re not supposed to leave (people) out in the rain and cold,” he told his flock. When Cole mentioned the idea to his board colleagues, he said it immediately sparked excitement. Cole’s effort is part of a drive to raise $300,000 for Winter Sanctuary. 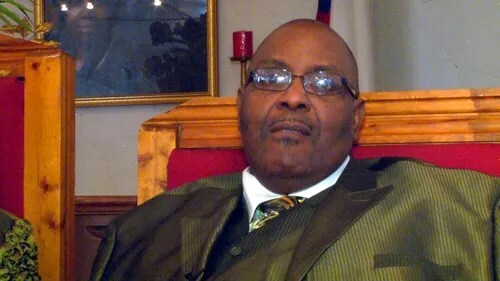 The pastor hopes donors will go to his website – http://www.revonthestreet.com – and give so that he can go home sooner rather than later. “The goal is to get me off the street,” Cole said smiling. But he may have a friend or two to keep him company, he said. Among those he’s invited are Sacramento Mayor Kevin Johnson, who has not committed yet, Cole said. Jacoby Shaddix, frontman of rock band Papa Roach and a member of Cole’s 4,000-member congregation, has agreed to join him on the streets for a spell, he said. Other members of the Capital Christian Center have already said they’ll tag along to protect their pastor and keep up his spirits. Tom Platina, a former police officer who works for the church’s winter shelter program, said he’s going with Cole. He said he thinks the pastor will learn from the experience, seeing “the hurt” of living on the streets firsthand. It will allow him to better continue his role as a leader in providing services to the homeless of the Sacramento region, Platina said. At Saturday’s services, Cole told those gathered that they were the first to hear of his plans except for a few confidants. The worshippers applauded. The announcement was part of a sermon urging people to be positive and joyful rather than always looking down on others, and to find meaning in life by helping the downtrodden. Most Nigerian worshipers are familiar with these lyrics ‘Doh Doh Doh, Oghene Doh, Oghene Doh’… Yes, the song is now available for free download, thanks to the original writer of the song Rev. Victor Atenaga, Africa’s foremost recording artiste, worship leader, Tv host and senior pastor of SWIM. Here is Rev. Victor Atenaga with popular worship song ‘Oghene DOH’ originally written by him. 40million Nigerians. This tune will get your dancing and praising God. working on his latest ‘MIRROR’. DAPS has shared stage with Bob Fits, Lionel Peterson, Panam PERCY PAUL. dimension to his sounds and lyrics. TIMI GOKE has put in many years of pure dedication to the gospel music industry. A one-time worship leader in Winners Faith Tabernacle, he has featured in many concerts including the Golden Tones, Lekki Sunsplash to mention a few. He also featured in “Out of Africa” concert with Sammie Okposo and performed in major cities in South Africa. Timi Goke has done collaboration performance with Mike Aremu, the prolific saxophonist. The new single “Na So” is his bold signature and a pointer to his upward drive in the positive growth and development of the Nigerian gospel music. Tosin Paul produced the track. Watch out for the full album soon. Finally, here is the much anticipated brand new duet single from the amiable and fast rising gospeller Dara and the venerable Tosin Martins. This single has very much been anticipated and today, we finally make it available for your free access download and listening. The song is titled ‘LOKE LOKE’ and has the vocals of Dara and Tosin Martins soulfully delivering lyrics that uplift accompanied by melodious chimes. Loke Loke is more than a song. Loke Loke is an epoch making offing birthed from the depths of a heart full of gratitude to God Almighty and assurance in His love and protection. “”If you knew my story, then you’d understand this song. If you’d ever given up on yourself or your situation but God changed the script, and you’ve come out winning, against the run of play, you’d identify with #LOKELOKE”. This is a personal story of restoration, healing and upliftment. Individually and as a nation, we will sing again of God’s mercy and how He lifts us up and changes our story. The barren will bear children, the sick will live, the hopeless will laugh. You and I are lifted, Nigeria will be restored! Amen.When they say there is a casting down, we will say there is a lifting up”. Dara also said that #LOKELOKE means “Forward ever and Backward Never” for her . Now that you have come to know the inspiration behind this song, go ahead and download, listen, enjoy and share it with your friends, family and colleagues! After the successful release of ‘You are the reason’ 2 months ago, which garnered international acclaim, Mairo has teamed up with trumpet playing worship Minister Nathaniel Bassey to deliver a soulful sensational song of worship itled ‘Ole Halleluyah’ in his Native Isoko language which literary means ‘halleluyah song’. Mairo is back in the studio working on his debut album set to be released end of 2014. If you have anything to be grateful God or even if you’re believing God for a victory in any area of your life, this is a song to put on replay. Considering the times we live in, with the trending epidemic, economic instability, poverty and Religious Crisis, one would want to question God’s goodness but the Sensational Singer, Writer, Producer, Music Director, saxophonist and Vocal Coach KeBe Eyong aka KeBee pleads to differ with this brand new single titled “CHIMOMA” which means “My Good God” in Igbo Language. The Song is Inspired by his personal experience of God’s goodness through his walk with him so far which is full of testimonies from areas of Health to his Finances, family, Career wise and the list goes on. An indigene of Yakurr in Cross River State and a trained musicologist at the University of Nigeria Nsukka, KeBee isn’t new to The Gospel Music Industry. He is currently based in Lagos after several exploits for the Lord in Rivers State which includes being one of the Music Directors and Event Coordinators for one of the biggest gospel music event in the South-South region of Nigeria tagged “Dew of Hermon”, which has been consistently held in the city of Omoku for 16 years now by Survival Eyong with theOmoku City Mass Choir. Author of the book “Vocal Tips for Singers”KeBee is currently signed to Omni Music and is a member of the Loveworld Music and Arts Ministry LMAM. Please receive his gift to you. Bitter leaf juice on its own, is quite bitter and this taste might be unbearable for a lot of people. 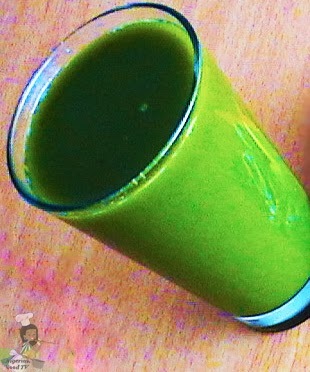 So to reduce the bitterness of the bitter leaf juice, simply blend it withspinach or Ugwu (fluted pumpkin). If you still find it extremely bitter, then add some sweet fruits to it, such as pineapple , apples, or oranges. An American physician who contracted Ebola while working in a West African hospital has received a blood transfusion from another American missionary doctor who survived the disease, hospital officials confirmed Thursday. Physician Richard Sacra, who is being treated at the Nebraska Medical Center’s special biocontainment unit, received the blood donation from doctor Kent Brantly, who was treated for Ebola and released from an Atlanta hospital last month. Both men contracted Ebola while caring for patients in Monrovia, Liberia, while working for missionary groups. Sacra, 51, also received an experimental therapy. Doctors have not revealed its name. Sacra is recovering well, his wife, Debbie, and his doctor, Phil Smith, medical director of the biocontainment unit, said at a news conference Thursday (Sept. 11). Brantly received a blood donation from a teenage survivor of Ebola while he was still in Liberia.The World Health Organization has said that such transfusions — which transfer not just blood, but disease-fighting antibodies — should be the top priority for research into new Ebola treatments. Brantly and another missionary, Nancy Writebol, received a promising experimental drug called ZMapp that has never been formally tested in humans. Supplies of ZMapp have been exhausted, according to its manufacturer, which was in the early stages of developing the drug. The drug takes months to produce. Both recovered and returned home. Doctors have said they don’t know what allowed Brantly to survive — the transfusion, the experimental drug or the care he received at Atlanta’s Emory University Hospital. Brantly had been in Africa volunteering for missionary group Samaritan’s Purse. His blood is the same type as Sacra’s. Brantly briefly talked to Sacra, in the special isolation unit, using video chat, according to a spokesman for Samaritan’s Purse. Sacra and Writebol work for a different missionary group, called SIM USA. A fourth, unidentified health worker with Ebola was flown from Africa to Emory this week for care. Across West Africa — particularly in Liberia, Sierra Leone and Guinea — Ebola has sickened more than 4,000 people and killed more than half of its victims, according to the World Health Organization. A separate outbreak in the Democratic Republic of Congo has struck 62 people, killing 35. Asked about the ethics of giving someone a drug that has no track record in humans, Thomas Geisbert, an Ebola expert at the University of Texas Medical Branch in Galveston, said the results of tests on animals were strong and the need great. It will be extremely difficult to figure out whether the drug Sacra received or the Zmapp used by earlier Ebola patients contributed to their recovery. For that, Geisbert said, much bigger trials will be needed. The World Health Organization has said it hopes that five to 10 drugs that have shown promise in animals can begin widespread testing in people in the coming months. Sacra, a family physician from Worcester, Mass., had gone to Liberia in early August to care for patients, mostly pregnant women, who did not have Ebola but were unable to get medical care. Liberia, a country of more than 4 million people, had only a few dozen doctors before the outbreak and virtually all other medical care stopped in the country because of the epidemic. On Friday night of Labor Day weekend, Sacra called his wife and told her he had a fever and was anxious that it might be Ebola, she said at the news conference at the Nebraska Medical Center. He stayed in isolation and began taking malaria treatment and Tylenol to lower his fever, but by Sunday he was quite concerned that he had Ebola, she said. Blood tests Monday showed that he had the disease. Debbie Sacra said she did not hear from her husband again until late Wednesday, at which point he was too weak to talk on the phone for more than a few minutes. He was evacuated by plane the following day, Sept. 4, arriving in Nebraska the next day. On Saturday and Sunday, Sacra had a transfusion with blood from Brantly, Smith said. Sacra has also been given the experimental drug every day of his stay, said Angela Hewlett, associate medical director of the biocontainment unit. Sacra has had irregular heartbeats and an electrolyte imbalance, Smith and Hewlett said. He is being fed intravenously, though he has begun to eat some foods. His wife, who has been talking to him via Skype, said he is starting to read magazines and is about 80 percent of his old self mentally after being significantly disoriented for most of the past week. The disease has weakened him considerably, she said. Doctors put an exercyle in his his room to help him rebuild his strength, but he wore himself out biking for 10 minutes yesterday, Debbie Sacra said. “This is someone who could ride between 15 and 35 miles several times a week at the end of July, so he’s definitely lost some conditioning,” she said. In addition to thanking God and science for his recovery, Debbie said her husband wants to make sure that the public recognizes the full extent of the tragedy unfolding in West Africa. Asked if he would return to help fight the epidemic, Debbie Sacra chuckled. A British nurse evacuated home after contracting Ebola plans to return to Sierra Leone to fight the epidemic. Also Thursday, Partners in Health, which has long provided medical care in Haiti and other parts of Africa, announced that it would be collaborating with two other groups to open two Ebola treatment units in rural areas, one in Liberia and one in Sierra Leone, and work to strengthen the primary health care systems in both countries. A South Carolina pastor is behind bars for repeatedly violating the city’s noise ordinance. According to WLTX TV, Columbia police officers have been called to Rehoboth United Assemblies Church more than 50 times due to noise complaints. Reportedly a majority of the complaints came from one neighbor. Following a three-day trial a Richland County jury sentenced Pastor Johnnie Clark to two weeks in jail for unlawful sound amplification. “I can’t believe it, jail time, for serving God, what’s next,” Pastor and First Lady Harriet Clark told WLTX. In response to a two-year long dispute between the church and its neighbors, the judge granted an injunction that prohibit the church from using equipment like drums or microphones between 8PM and 8AM. Leaders claim the building existed before the neighboring homes and the church shouldn’t be punished. Clark maintains the only solution is to soundproof the church, which is costly.